Big, big congratulations go out to this years' Newbery and Caldecott Award winners! 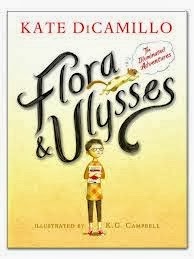 winner offers us the story of Flora, a young comic enthusiast and self-avowed cynic who saves a squirrel from a vacuum cleaner. The squirrel acquires super-powers from his trauma, and Flora learns the value of being a little less cynical. The John Newbery Medal is given annually for the "most outstanding contribution to children's literature". 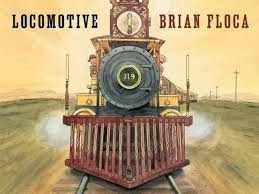 The Caldecott Medal 2014 has gone to Brian Floca for his amazing picture book, Locomotive. This book follows the adventures of a family and crew as they travel across America on it's new transcontinental railroad in 1869. The Randolph Caldecott Medal is given annually for the "most distinguished American picture book for children". young adults". 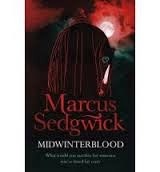 This award went to the incredible Marcus Sedgwick (whose been giving me chills for the last 10 years!) for Midwinterblood. Congratulations to these most worthy, brilliant winners! The Branford Boase Award longlist for 2014 has been announced. 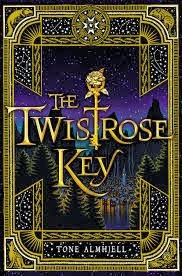 For those of you who aren't familiar with this award, the Branford Boase Award is given annually to the author and editor of an outstanding debut novel in children's fiction. Past winners have included such brilliant books as How I Live Now by Meg Rosoff (2005), A Swift Pure Cry (2007) by Siobhan Dowd, Fly By Night by Frances Hardinge (2006...oh, how I love this book!) and last year's winner, the curious and wonderful A Boy, A Bear and a Boat by Dave Shelton. The shortlist will be announced on May 1st, and the winner will be revealed on Thursday, JUly 10th at a ceremony in London. From the We Love Books Tour facebook page comes this exciting news! 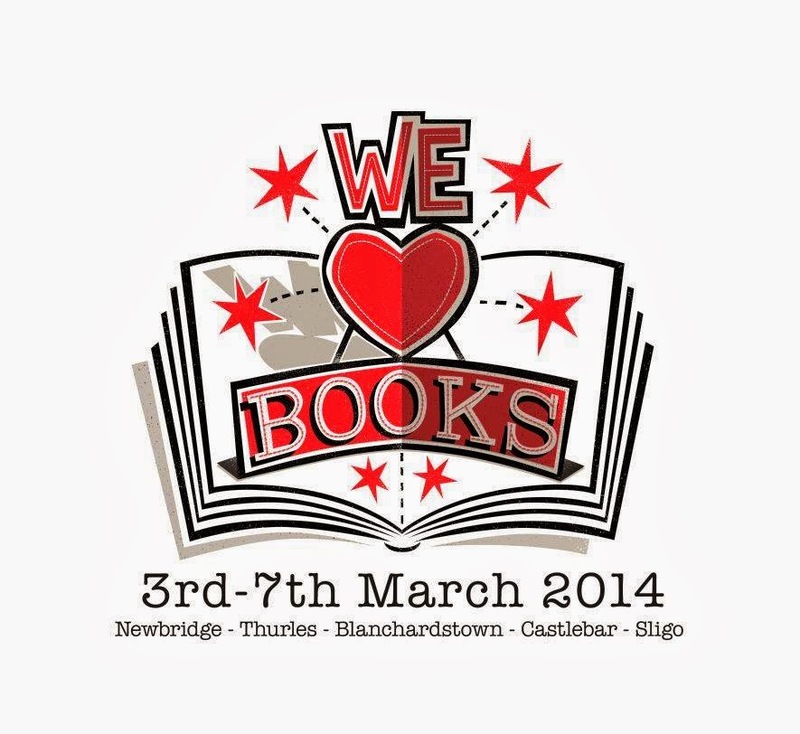 "We ‘♥’ Books is the biggest tour of its kind ever to take place in Ireland. Over the course of five days, an intrepid team of twelve authors will strike-out across the country to share their love of books and enthuse school audiences with a passion for reading. Produced by Tom Donegan and funded by the Arts Council, the tour will visit five regional venues, each hosting a unique line-up of best-selling and award-winning Irish writers, comic artists and illustrators. These events will see participating authors celebrate their favourite books and explore how their own work has been influenced by these titles. There will also be the chance to take a closer look at what it takes to be a writer, the future of books and what it means to be a young reader in the digital age. Plus, there will be plenty of opportunity for those attending to ask their own questions and even learn how to draw like the professionals!" That's right! five different regions and an amazing line-up of Irish authors, illustrators and comic artists taking the show on the road to celebrate their favourite books and talk about their own work and it's connection to their favourites. They will be EVERYWHERE in Ireland, so my best advice is to check out the page and find out what's happening in your area. If you love books, why not join them? To find out more about who and how and where and what... here's the link for the CBI website! 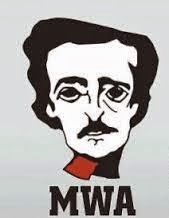 The Edgar Awards are celebrating the 205th anniversary of Edgar Allen Poe's birth. These awards exist to honour the very best in mystery fiction, non-fiction, television published or produced over the previous year. 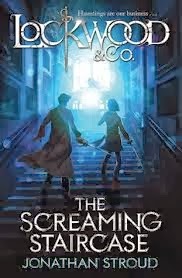 The Edgar Award winners for 2014 will be presented at a banquet on Thursday the 1st of May, 2014 at the Grand Hyatt Hotel in New York, following a symposium on Wednesday, 30 April. Keep checking back here... on on the IBBY website and/or IBBY Ireland facebook page for continuing information on the events that will be happening all over Ireland and the world! In the meantime, follow the link below for an important and heartfelt message from Siobhán Parkinson, author, editor (Little Island), translator, former Laureate na n'Óg and the strongest children's literature advocate I have had the pleasure of knowing. I'm playing as small bit of catch-up here. 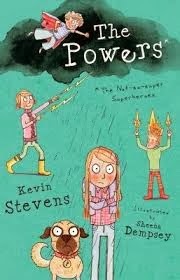 The Powers by Kevin Stevens/illustrated by Sheena Dempsey has been named as Dublin's UNESCO Citywide Read 2014. 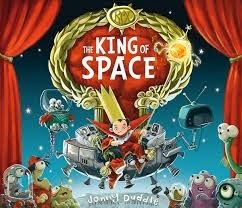 What this means is, that as UNESCO's Dublin City of Literature, from January through March children all over the city will be reading The Powers and will have the opportunity to meet the author and illustrator in their local library. 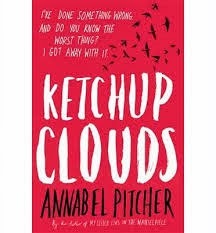 Published by the positively wondrous Little Island press, this is hugely exciting for everyone concerned. Little Island will be sending out storytellers to Dublin area schools to ring in the enthusiasm for this mad, zany and brilliant book. 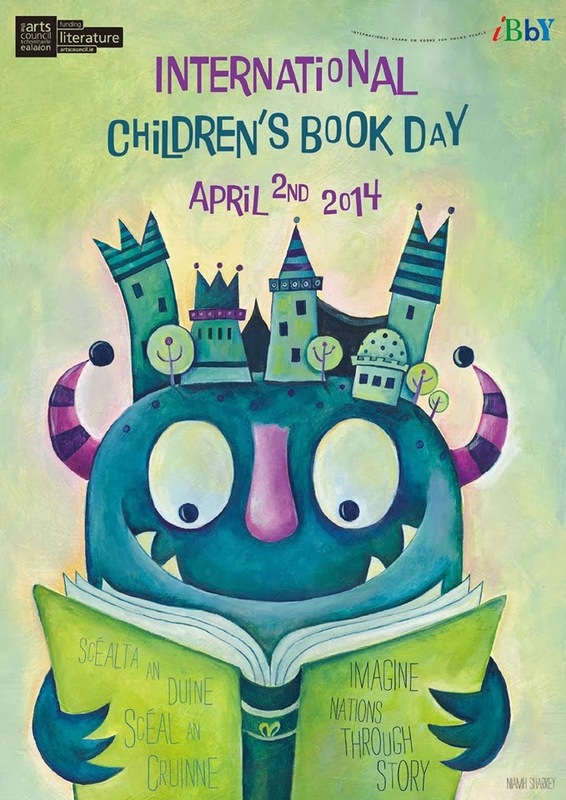 Illustrator Sheena Dempsey will hold leading workshops....Really makes me wish I was in Dublin! Have you checked out The Powers, yet? Just because you're not in Dublin doesn't mean you should be left out of the fun. Oh, and if you're wondering what the Dublin City of Literature is all about.... well, here you go! And congratulations also go to Chris Riddell! 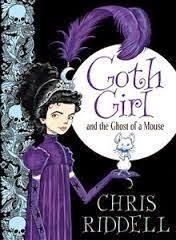 His latest children's novel; Goth Girl and the Ghost of a Mouse has just won the Costa Children's Award 2013. While the short list also included some very steep competition in: The Hanged Man Rises, by Sarah Naughton; Alex, the Dog and the Unopenable Door, by Ross Montgomery and Rose Under Fire, by Elizabeth Wei, Goth Girl and the Ghost of a Mouse emerged as the winner tonight.Well done!!!!! 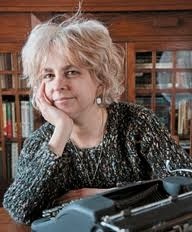 Congratulations go to Kate DiCamillo! 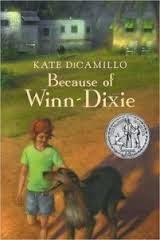 The author of such wonderful books as 'Because of Winn-Dixie', 'The Tale of Despereaux', 'The Tiger Rising', The Magicians Elephant' and her latest...'Flora and Ulysses: The Illuminated Adventures'... will be named National Ambassador for Young People's Literature (for the United States) on January 10th at a ceremony at the Library of Congress. Walter Dean Myers, who served as such since 2012. The others so honoured were Katherine Paterson (2010-2012) and Jon Scieszka (2008-2010). This prestigious position is the equivalent of the Children's Laureate.The award is presented bi-annually to an author or illustrator who is a U.S. citizen and has made a substantial contribution to children's literature. 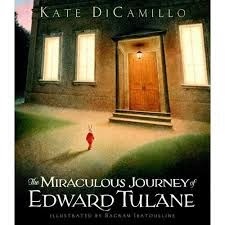 “Anybody who knows me knows I am a handwringer and a worrier, and this is big and intimidating to me,” DiCamillo said. “But this community has taken me in and reading is something I believe in so passionately. Being offered this felt like such a huge gift, I couldn’t say no." Congratulations.... and I'm sure you time as Ambassador for Young People's Literature will be utterly inspiring. Time to Nominate Ireland's Next Childrens Laureate! Believe it or not, it's time to submit nominations for Ireland's next Laureate na nÓg (CHildren's Laureate.) The next Laureate will be the third in line, following in the footsteps of Siobhan Parkinson and the incumbent, Niamh Sharkey. "Sarah Bannan, the Arts Council’s Head of Literature, says, ‘Laureate na nÓg is Ireland’s highest honour for a writer or illustrator of children’s books and was established by the Arts Council in order to celebrate the extraordinary talents of our writers and illustrators. Through this appointment and the Arts Council’s wider strategy for children’s literature, we are working to broaden and enrich young people’s imaginative worlds and to highlight the importance of Irish children’s literature, writers and illustrators in our society.’"
And as we prepare to select our third Laureate nanÓg, people of all ages, all over Ireland have the opportunity for the first time to help decide which Irish author or illustrator will be the next to be honoured with this prestigious (and very busy) honour. Nomination forms should be submitted by the 15th of February and are available in the CBI website. So, go to the website, fill out the form and get your submissions in. Before time runs away with me all together, I wanted to take a moment to wish you all a very Happy New Year. It's a moment of quiet right now, but before long so many things will start happening in the world of children's literature that it will be difficult to make you aware of all of them. I will do my best to keep you informed. I will be making a few changes here. First of all, I will not be reviewing ebooks. This is nothing more than a personal decision on my part. Simply put, while I love literature of all kinds, and as long as children are reading, I don't really think it matters what the format is (well, it does, but it doesn't). However, I prefer actual, physical books and think they have much more to offer. I will also bring back the 'Young Readers Recommend' page. I still believe that, for all the passion, energy and education we adults have about children's books, if you want to know about a good book for children, ask a child. Do get your hands on this book!!! It is utterly wondrous. Sally Gardner continues to amaze me! 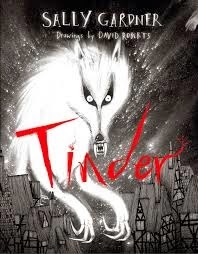 This reinterpretation of Andersen's The Tinderbox (written for young adult readers) sent chills down my spine and kept me riveted to the page. The illustrations by David Roberts help set the perfect tone for an amazing journey.